October 29, 1929, was "Black Tuesday," the culmination of events that led the stock market to crash and plunge the United States—and the world—into the Great Depression. The New York Stock Exchange, which had surged throughout the 1920s to a new high, lost close to 18% of its value in September 1929, but this had not been enough to truly shake investors’ confidence. Financial prognosticator Irving Fisher, who believed the market was still on its way up, shrugged off the market’s volatility as simply its way of “shaking out of the lunatic fringe.” The first sign of trouble came on Thursday, October 24—later called “Black Thursday”—when 12.9 million shares traded hands. (A normal trading day in the 1920s saw about 3 million shares traded.) The stock ticker, unable to keep up with the volume, fell 90 minutes behind and panic set in. On “Black Tuesday” the bottom fell out. A record 16.4 million shares traded that day and the market declined an additional 12%—the total losses for the week surpassed the annual federal budget. No pool of investors stepped in to prop up the market this time. By the end of the day, the “Roaring Twenties” were over and though the country wouldn’t realize it yet, it had been plunged into the worst economic downturn in its history, the Great Depression. The stock market would continue to fall until November 13 when it hit a “false” bottom. General Electric, which had been trading at 396-1/4 in September, was now trading at 168-1/8. However, despite a temporary recovery over the next few months, the market soon began to decline again and by the time it hit its real bottom in 1932, G.E. was trading at just 8-1/2, a staggering loss of 98% of its value. It would take the Dow Jones Industrial Average 22 years to climb back to its September 1929 levels. Today's postcard dates to sometime around 1910 and shows the facade of the New York Stock Exchange. 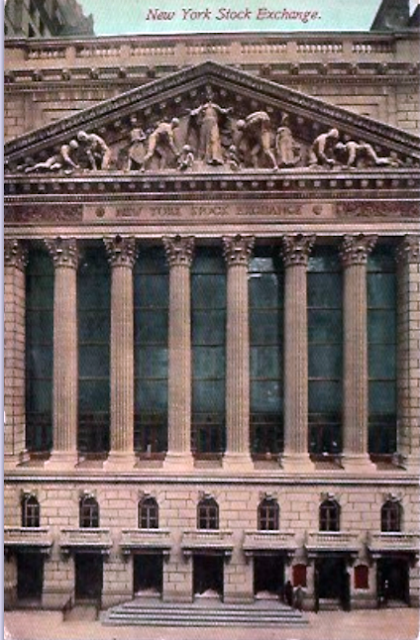 Notice the building originally had a set of uneven steps up to the trading floor, which were subsequently removed. Today's postcard, mailed in 1908, shows one of the most famous old hotels in New York, the St. Denis, at Broadway and 11th Street. 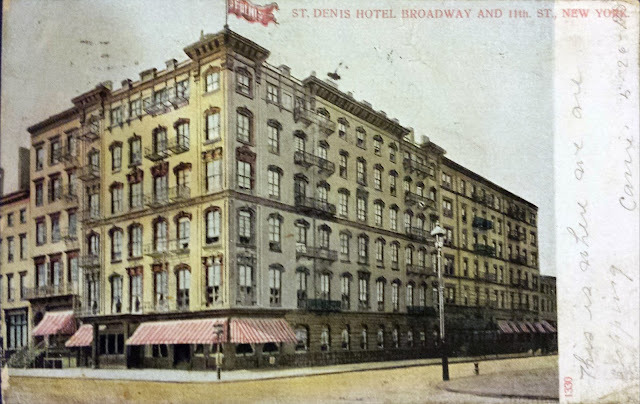 Run by hotelier William Taylor, the St. Denis was opened in 1853, just across from Grace Church. Both buildings had been designed by James Renwick, who would later go on to build St. Patrick's Cathedral. Billed as the "most centrally located hotel in the city," the hotel was within walking distance of most of New York's prime theaters, restaurants, and department stores, many of which lined Broadway south of Union Square. The hotel quickly developed a celebrity clientele, including first lady Mary Todd Lincoln, who stayed there during one of her frequent trips to the city. Ulysses S. Grant worked on his memoirs at the hotel and, when he was stuck with writer's block, his publisher, Mark Twain, moved in for three months to get him over the hump. Though he had already patented the device and made public demonstrations of its efficacy—a week earlier in Boston, he’d made a connection to Providence, Rhode Island, 43 miles away—he hadn’t yet found a market for it. 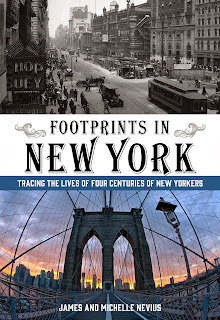 At the St. Denis a crowd of about 50 filled the drawing room on the second floor where Bell made telephone calls to the A&P Telegraph office in Brooklyn, using wire strung across the not-yet-completed Brooklyn Bridge. In the audience were potential financial backers, such as Cyrus Field, the president of the company that 11 years earlier had successfully laid the first transatlantic telegraph cable. At least one observer at the St. Denis, telegraph pioneer Walter P. Phillips, derided the invention as “a toy, if not an absolute humbug.” But it is clear that others were impressed. Later that year, the first telephone was installed—connecting J.H. Haigh’s home on John Street to his factory in Brooklyn. By 1878, the first telephone directory was published: it contained 252 listings: 235 businesses and 17 people who had telephones installed at home. Most people don't realize that the St. Denis is still standing. Though it has been converted into offices and has a rather drab exterior, it is still Renwick's 1853 building. 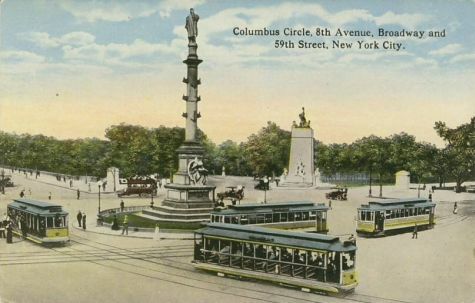 Monday marked the annual celebration of Columbus Day in the United States and the 123rd anniversary of the Columbus statue in the middle of Columbus Circle. In the years leading up to 1892, Carlo Barsotti, the publisher of the Italian-language paper Il Progresso Italo Americano diligently promoted the idea that Columbus be honored in New York, which was fast becoming one of the largest centers of Italians in the world. 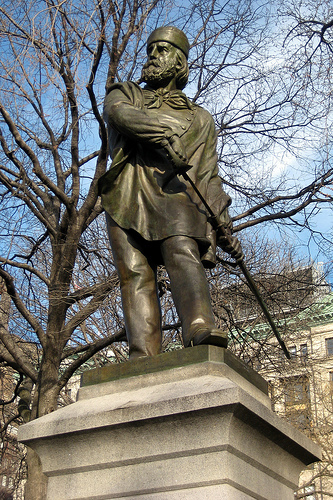 Through public subscription, Il Progresso raised the money for a statue to be erected at the Great Circle, and hired Sicilian artist Gaetano Russo to create a monument to be ready for October 12, 1892. It was unveiled in the newly named Columbus Circle as part of the celebrations for Columbus Day. In NYC, Columbus Day is primarily a holiday celebrating Italian-American culture. We are all in favor of that, too. If we get rid of Columbus, what Italian would you suggest we honor in his place? Let us know in the comments. Lining the center of the photo are pushcarts where food vendors could sell their wares without the overhead of a traditional storefront. (Compare this to our earlier postcard of cheese vendors, who sold from baskets.) As you might imagine, there were often turf wars between the brick-and-mortar stores and pushcart vendors, who were seen by some shop owners as bad for business. Under pressure, the city enacted a law that said that pushcart vendors could not sell from the same spot for more than 30 minutes at a time, though this proved hard to enforce. During the Depression, Mayor La Guardia attempted to ban street vending altogether, claiming it was a safety hazard to have the streets clogged with carts. 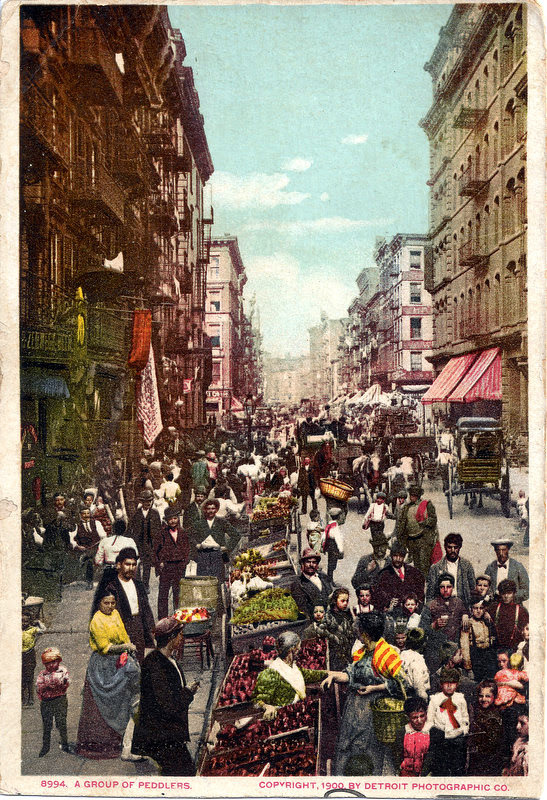 To accommodate the displaced vendors, the city constructed indoor markets, like the Essex Street Market on the Lower East Side and the Arthur Avenue Retail Market in the Bronx, and while these both still exist, they were never popular with the pushcart sellers. This is just one topic we'll be covering on our Sunday tour of Italian New York City. 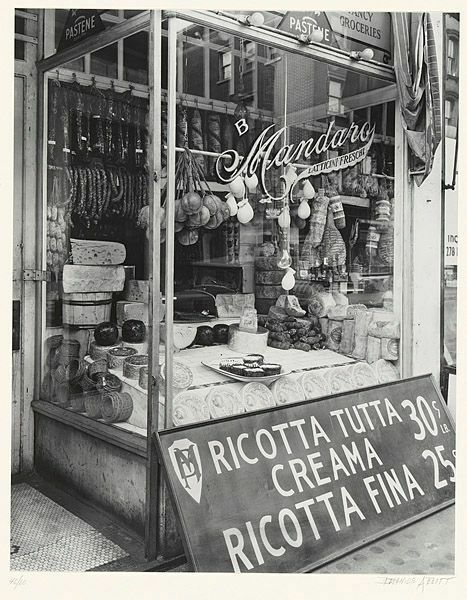 Read all about it at http://blog.insidetheapple.net/2015/10/reminder-italian-nyc-walking-tour.html and sign up! Tomorrow, October 2, marks a little-known anniversary in the New York: the first time the name of the island of Manhattan was written down by a European explorer. The person who did the writing was Robert Juet, first mate on the Halve Maen ("Half Moon"), the ship that had arrived in New York harbor a few weeks earlier in search of a Northwest Passage. While that ship's captain, Henry Hudson, gets rivers and parkways and more named for him, Juet--whose chronicle of the voyage is a fascinating document--is mostly forgotten. [W]e saw a very good piece of ground; and hard by it there was a cliff that looked of the colour of white green, as though it were either a copper or silver mine; and I think it to be one of them by the trees that grow upon it; for they be all burned, and the other places are green as grass; it is on that side of the river that is called Manna-hata. Thus, on October 2, 1609, Manna-hata had its name written down by Europeans for the first time and Manhattan was born. 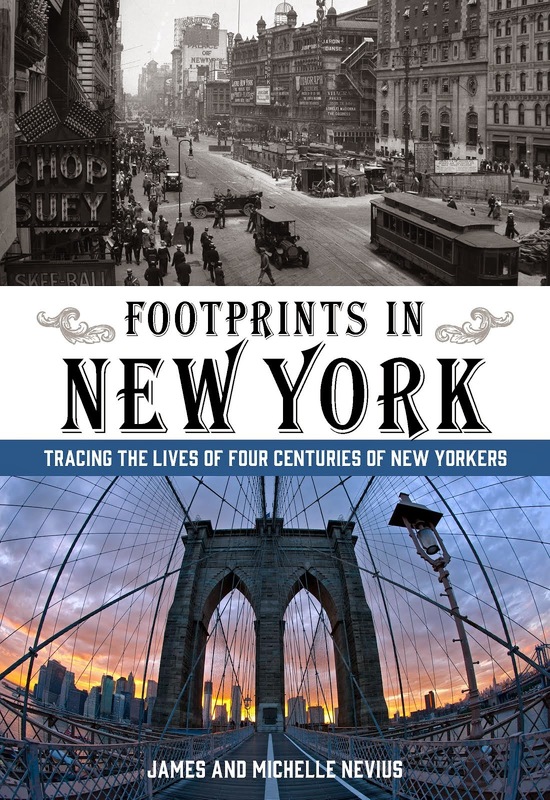 In 1909, New York hosted a giant Hudson-Fulton Festival to honor the city's 300th birthday. 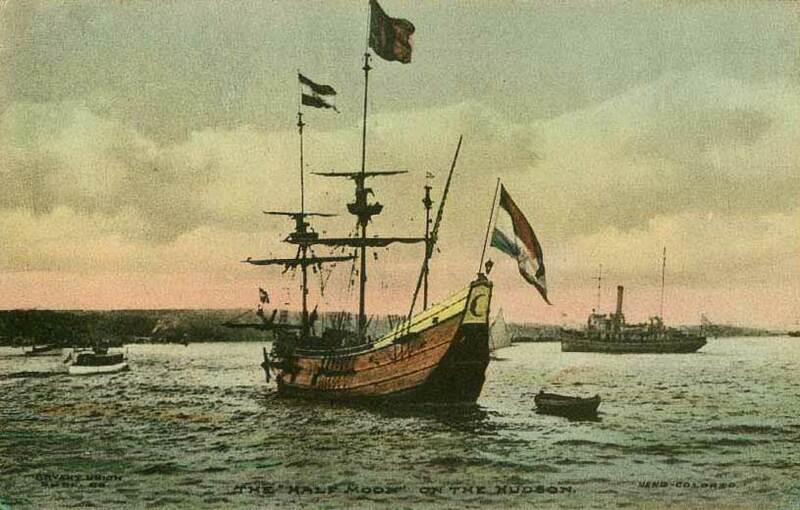 The above postcard shows the replica of the Halve Maen that was built for the festivities.